Probably one of the best remaining lots at Rivershore Estates and Golf Links with almost 13,000 sq. ft., a very gentle slope, and terrific views from this SW-exposure property. Custom home plans are included if desired as well as a site survey/profile and preliminary geotech requirements. Don't miss your opportunity to build your custom designed home in this outstanding golf-oriented family-friendly community. Rivershore Estates and Golf Links is a bareland strata community located just 20 easy driving 4 lane highway minutes East of Kamloops in the scenic South Thompson Valley. The community features an 18 hole Robert Trent Jones Sr. Championship golf course owned by the strata lot owners, low taxes, and full services. The $223/mth strata fee includes water, sewer, garbage and recycling pick up, community volunteer fire department, winter snow removal and common area maintenance. 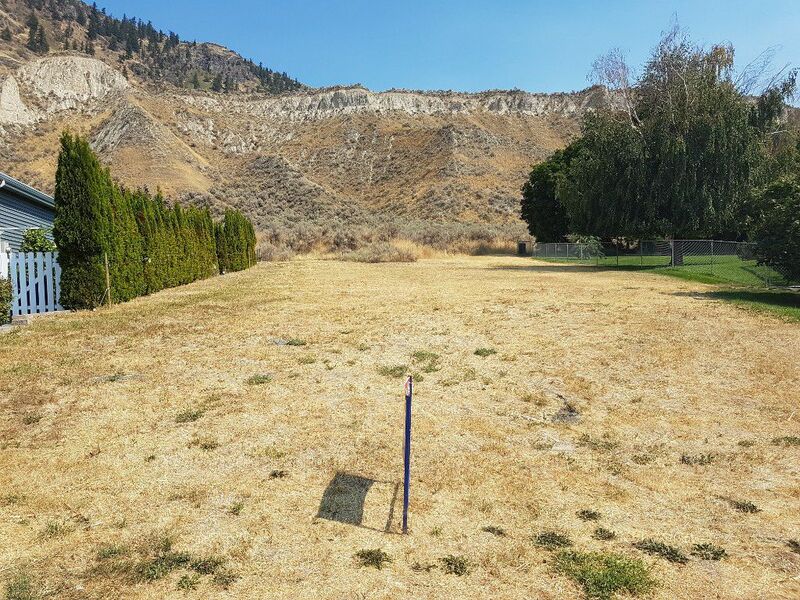 The golf season featuring Kamloops' renowned warm sunny weather tends to run March to early November. Contact Ken McClelland to view or for more details.